Katherine Olson started in 2007 as a volunteer at Lovelane. She volunteered throughout high school and during the summers in college. Katherine has also volunteered at other therapeutic riding facilities, including one in Tel Aviv, Israel, where she was further able to see the positive impact of therapeutic riding. 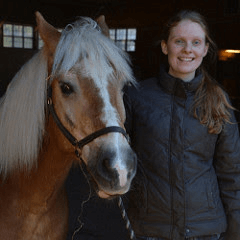 A graduate of Houghton College, Katherine studied equestrian studies and biology with the intention of eventually going into therapeutic riding. She obtained her Massachusetts license in the fall of 2015 and her PATH International license in the fall of 2017. Working at Lovelane inspires Katherine because of the freeing atmosphere it provides for students. Her favorite part of her job is seeing student’s faces light up when they accomplish something new.